you bet your bottom dollar its free... of course if you want to donate a little something, I won't say no. But just download something for free and see if you like it first. I use DriveThruRPG to host and distribute my free and a lot of my paid products. The free stuff is what they call "pay what you want", so if you want to pay nothing, then pay nothing. If you want to encourage more "pay what you want", then give a little. 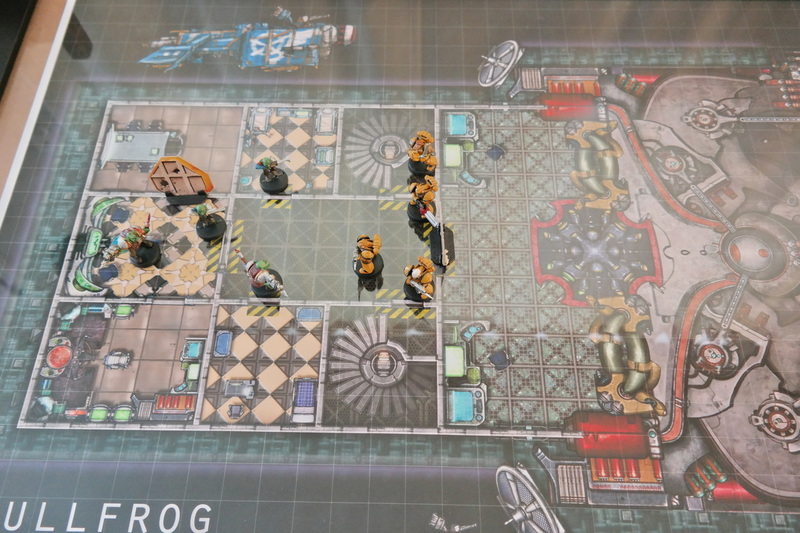 This is just simple ship deck layout I made for some custom Space Crusade (yes the old boardgame). It is comprised of 2 decks, made in A1 size with each square being 1 inch. Like the Bullfrog I made this for Space Crusade, but I made it too long. its 40 inches by 26 Inches so here it is for use in digital games, or you can chop it up into printable sizes. From the pages of the first adventure in the Orc War series comes the infamous "Orc Smithy" skill and the Savage Weaponry that it creates. Amp up your Orcs or 1/2 Orc character with the flavour and horror of Graemation's Orc War series. Workable for most RPG systems.